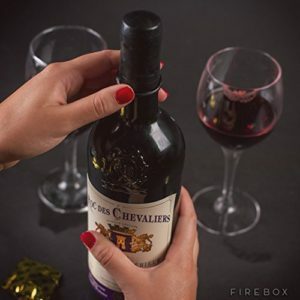 If you’re looking for a gag-gift that can actually be put to a practical use, Wine Condoms may just do the trick for you. Great for any bachelorette party for a wine drinker or for a Christmas Gift under $15. 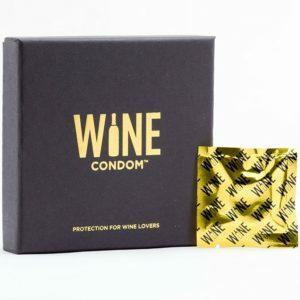 You can find more info on the wine condoms website here. The condoms are fitted to the size of a standard wine bottle neck and it’s a much cheaper solution than many other unfinished wine savers. Exclusively sold on Amazon, a box of 6 will run you $13.97 (from the time of this article posting). Each wine condom can be used 1-2 times as well. That’s potentially around fifty cents per wine save, which is pretty cost-effective when you think about saving a bottle of wine, expensive or not. Another tip to save a bottle of wine: Put it in your fridge! Even if it’s red. Just take it out of the fridge 30 minutes before drinking to get it to the right temperature. I won’t drink a wine corked on my counter after day two, but I’ve gone back to wine up to a week later in the fridge without losing quality in taste. I wonder how long I can get with a wine condom and my little fridge trick? ← Boxed Wine: Can It Be Good and What’s the Best?